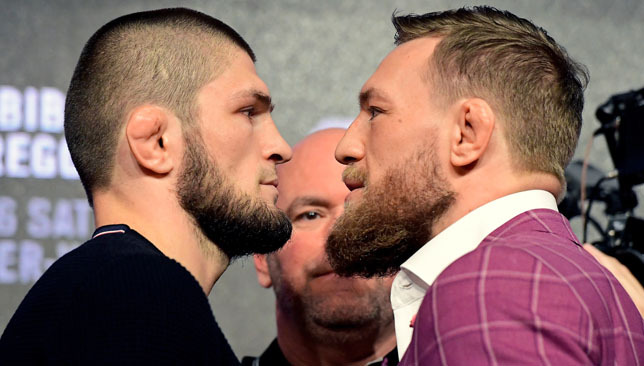 Conor McGregor makes his much-anticipated UFC comeback this weekend when he takes on Russian Khabib Nurmagomedov at the T-Mobile Arena in Las Vegas. The brash Irishman is coming off a near two-year lay-off in the octagon and is jumping in at the deep end, choosing to return against the man who succeeded him as lightweight champion. 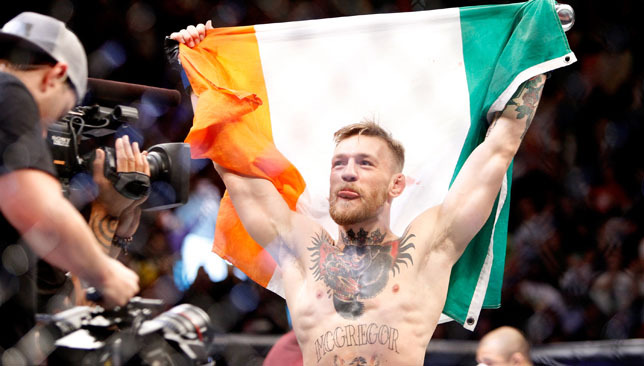 Ahead of what has been billed as the biggest UFC fight of all-time, we look at five of McGregor’s standout victories within the organisation. A unanimous decision over a prospect who had seven wins and two losses does not appear to be remarkable at first glance, but Holloway has since gone on to establish himself among the company’s finest fighters, with 12 successive wins taking him to the top of the featherweight pile. It was at the 145lb-limit where these two future stars faced off and McGregor, a little more than three months on from his UFC debut, was taken the distance for the first time in his 16th mixed martial arts contest. Victory was all the more impressive because he tore his anterior cruciate ligament at the halfway stage. McGregor had positioned himself into featherweight title contention with technical knockouts of Dustin Poirier and Dennis Siver. But a bout against champion Jose Aldo was scotched due to the Brazilian’s rib injury, leaving McGregor to take on late replacement and number one contender Mendes for the interim strap. A bruising encounter came to a head when a trademark one-two from McGregor floored Mendes, who was caught with several more blows before the referee stepped in with three seconds left in the second round. The hype around McGregor was growing rapidly and hit new heights with this 13-second blowout of a champion who boasted a 10-year unbeaten streak that spanned 18 fights. A picture perfect left cross knocked out the Brazilian before he hit the floor to signal an emphatic conclusion to a rivalry that had been building for months. With this win, McGregor proved he could back up his bravado and the 1.2million pay-per-view buys was a UFC record for a non-heavyweight contest, proving the charismatic Dubliner was one of the company’s most bankable attractions. Five months on from a shock first defeat in the UFC, McGregor returned to Sin City and the welterweight limit – 25 pounds heavier than where he reigned at featherweight. McGregor, as he did in the first bout, started the rematch strongly and floored his rival three times inside the opening two rounds. The resilient Diaz, though, absorbed the punishment and took advantage of his opponent’s fatigue to finish the fight on top, only to lose a majority decision. McGregor proclaimed “the king is back” after topping a bill that generated a UFC record 1.65m PPV buys. Unsurprisingly, McGregor was the headliner as the UFC was staged in the Big Apple for the first time and he marked the occasion by joining all-time greats Randy Couture and BJ Penn in winning UFC titles across two weight classes, while he was the first to hold two belts at the same time. Alvarez, like many before him, was unable to handle the power of his foe and was knocked down three times in the opening round before being stopped three minutes into the second. McGregor therefore proved he was the man to beat at both featherweight and lightweight in what would prove to be his last UFC outing for almost two years. 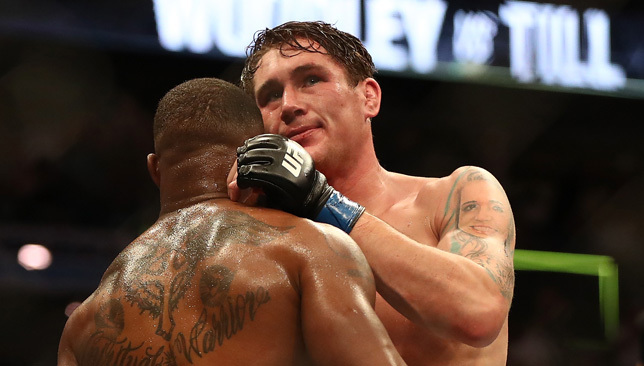 Darren Till was denied his hopes of seizing the UFC welterweight title from Tyron Woodley after he tapped out in the second round of their clash in Dallas. Woodley defended his crown and added to his record of 18 victories, three defeats and one draw, with a submission win over his Liverpudlian opponent after a brutal takedown early in the round. A heavy right sent Till crashing to the canvas and the American, 36, unleashed a barrage of blows on his 25-year-old challenger. The submission was called at 4.19, the Englishman unable to free himself and continue the fight. Woodley earned the strap despite having not stepped foot in the octagon since July 2017. Till, who was hoping to become only the United Kingdom’s second UFC champion, admitted the defeat “really really hurts” but insisted he would fight on to be the “best ever”. “I’m just gutted, but you know I’ve had losses before MMA and it just makes you stronger,” he told ufc.com. A little over eleven years ago an inexperienced Michael Bisping took on Elvis Sinosic in front of a baying home crowd in Manchester. It would turn out to be a fight which would serve as the perfect metaphor for his career. 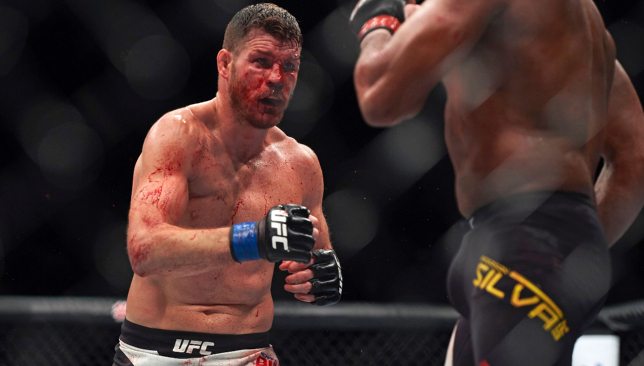 Having retired this week due to ongoing eye issues, Bisping can look back on a stellar MMA career packed with high-profile wins, UFC records, and a stint as middleweight champion. But it could have all been so very different. Having dominated Sinosic in round one, in the early knockings of the second stanza Bisping found himself on his back, and soon after in what looked to be a pretty well locked-in Kimura. As the 15,000 in attendance held a collective breath, he was able to slip out, reverse and win the fight with some heavy ground and pound. In the face of adversity, Bisping would ultimately triumph. As would be the case with the following years of his career. The Count has been the subject of one of the laziest labels in sport. A fighter who didn’t necessarily possess the greatest talent, but was always the hardest worker in the room. To say that downplays his capabilities is the biggest of understatements. He may not have the wrestling of a US fighter, or the slickest jiu-jitsu, but he is a stunning kickboxer who found the recipe required to win fights. 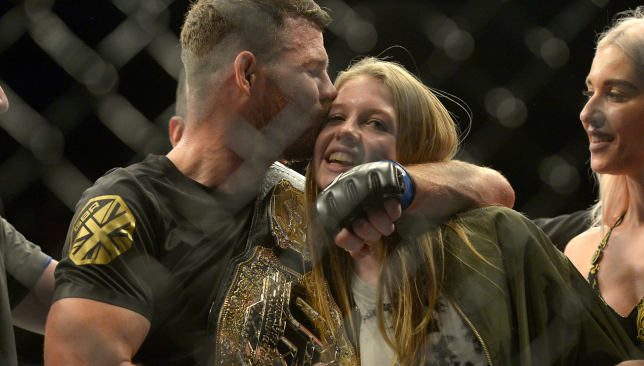 Bisping burst onto the UFC scene, while the organisation was still in something of its nascent years – particularly from a mainstream perspective. The winner of the third season of The Ultimate Fighter (TUF), his fight against Sinosic was just his second on the main roster. Defeat, especially in front of his home fans, would have been unimaginable. As it was, the win helped kick-start the growth of the sport and organisation in the UK, with Bisping now very much the flag bearer. He had gone from the guy who needed subtitles on TUF due to his thick northern English accent, to a face of the company. A warrior in the ring, charismatic and ebullient outside it. He may not have been everyone’s cup of tea with his outspoken antics and brash confidence, but he was the perfect front for an organisation looking to cast the net far and wide in search of a fan-base. Without Michael Bisping, the UFC does not look like the business it is today. They have shared a journey which has been bumpy at times, but the highs have far outshone the lows and ultimately they both reached the very top of their respected ladders. Bisping’s numbers speak for themselves. Nobody has had more fights in the UFC. Nobody has more UFC wins. Only Frankie Edgar has spent more time in the Octagon. And in the history of the UFC, only three men have more knockouts to their name. For a man often derided in lacking ability, those are pretty impressive figures. Even when you look at the list of fighters who have defeated Bisping, it features only the elite of the sport. A reverse against Rashad Evans, Vitor Belfort, Waderlai Silva or George St. Pierre is nothing to be ashamed of. The obvious high point is the stunning knockout of Luke Rockhold to win the 185lbs title in 2016, a fight he took on just 17 days’ notice. It was an ascent to the top of the mountain which had been years in the making, repeatedly the bridesmaid, it seemed Bisping was destined to always fall at the final hurdle. But he was very much a fighter’s fighter, and to step in on short notice, against a man who had already choked him to defeat two years prior, in the hope of realising the dream sums Bisping up perfectly. Adversity embraced, he came out the other side a champion. His legacy in the fight game is secure, a future Hall of Famer for sure, he can bow out safe in the knowledge he is truly one of the greats to grace the Octagon, and a trailblazer which has helped put the UFC in the place it is today.